You've heard that expression that looks can be deceiving. These Reebok Women's RB156 Black Non-Metallic Internal Met Guard Shoes aren't trying to trick you, but they are a little deceiving. They look like casual athletic shoes, but they perform like protective, inc ... (see full details) (see specifications) #RBKRB156. You've heard that expression that looks can be deceiving. These Reebok Women's RB156 Black Non-Metallic Internal Met Guard Shoes aren't trying to trick you, but they are a little deceiving. They look like casual athletic shoes, but they perform like protective, incredibly tough work boots. Sporty style and sleek construction make these black shoes look professional. Tough leather helps it perform that way, too. Durable leather is abrasion-resistant and stays sturdy against the elements. It resists wear, wind, and even water naturally. That means leather is easy to clean and highly flexible around your steps.The inside of this premium footwear is also lined with abrasion-resistant nylon mesh material. Durable nylon is lightweight, but it stays durable against friction. Mesh construction keeps the material airy around your steps. It releases heat so you stay cooler, more comfortable while you work. Sponge rubber heel wedges are built into the cushioning inserts of these internal met guard shoes. The spongy, springy rubber resists shock and absorbs force right where your feet hit the ground the hardest. Meanwhile, airy EVA foam adds softness and cushioning to every step. The removable design allows you to clean the inserts whenever you like. More EVA foam was used to create the lightweight midsole layer of these women's shoes because a little extra cushioning never hurt anyone. SureGrip plus rubber bottoms create a firm, shock-resistant foundation for every step you take. Internal met guards and composite toes protect the tops and tips of your feet from damaging impact and compression when you wear these Reebok shoes. Non-metallic composite weighs less than steel, but it still absorbs force. The toes meet ASTM F2413-05 protective footwear standards to guard you from impact and compression. Unlike steel, composite doesn't conduct temperature or electricity. The slip-resistant shoes are also electrical hazard rated. The design of these EH shoes is casual and stylish. The interiors are soft and cushioning. The foundation is firm and shock-resistant. Put it all together, and you get a pair of work boots that do it all to protect all of your steps from the harsh world out there. It’s not deception, Reebok Women's RB156 Black Internal Met Guard Non-Metallic Shoes really are amazing at taking good care of your feet, no matter what you happen to be doing. Nice shoes for work, hard to find this type of shoe in my area, met guards are difficult to break in , well made and last , nice price too. Lots of selection on this website, easy to choose and find different products, free shipping and low prices too. Easy to order. I will defiantly be ordering more shoes from here, need to swap shoes often to make them last a long time. This shoe has a very hard plastic tongue and pushed down so hard on the top of my foot that in just a few short hours I was having a hard time walking. I cut open the inside of the tongue hoping to just cut the plastic out, but it goes so far down, that I just had to throw the shoes away. I was unable to return these shoes because I couldn't find the original box and paperwork they came with...my fault...I will never order shoes for work online again. 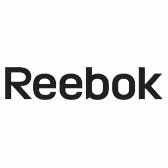 Reebok Shoes: Women's RB156 Composite Toe Internal Met Guard Oxford Work Shoes is being added to your cart.